Trick or treat! Do EUNO how to decorate a pumpkin? Are you a talented carver or perhaps a talented painter! Show us what you got! 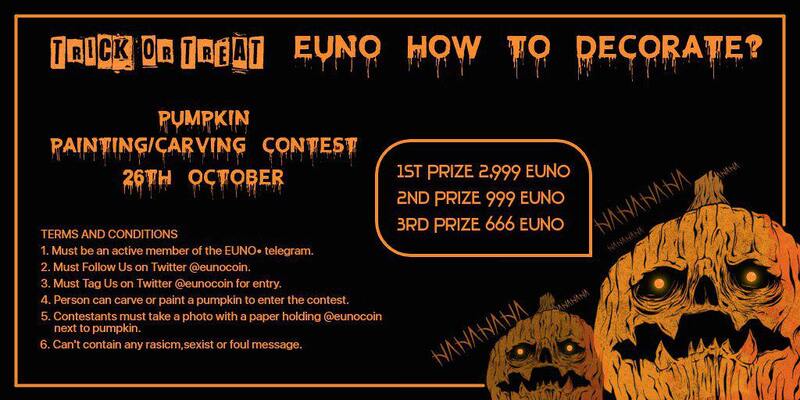 Euno is holding a contest for best artistic pumpkin submissions. Winner will be announced October 26th 2018! Let the best artist win!